S E Lindberg: Spawn is Audible! 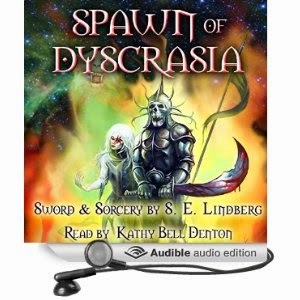 Spawn of Dyscrasia is now available as an audio book, narrated by Kathy Bell Denton who has a splendid voice reminiscent of the female narrator of Ralph Bakshi's 1977 movie Wizards (Susan Tyrrell). Kathy Denton has a creepy, English accent perfect for dark fairy tales and reinforces the character of Helen well. Check out the samples on Audible.com or Audiobook on Amazon. Review copies of all forms are available (Audible, Kindle, and Paperback). For files or promotional codes, just contact me via email (teamlinderg-at-gmail.com), on Dyscrasia Fiction on Facebook, or the Goodreads Sword & Sorcery group that I co-moderate. Thanks to all who already read, listened, and reviewed. 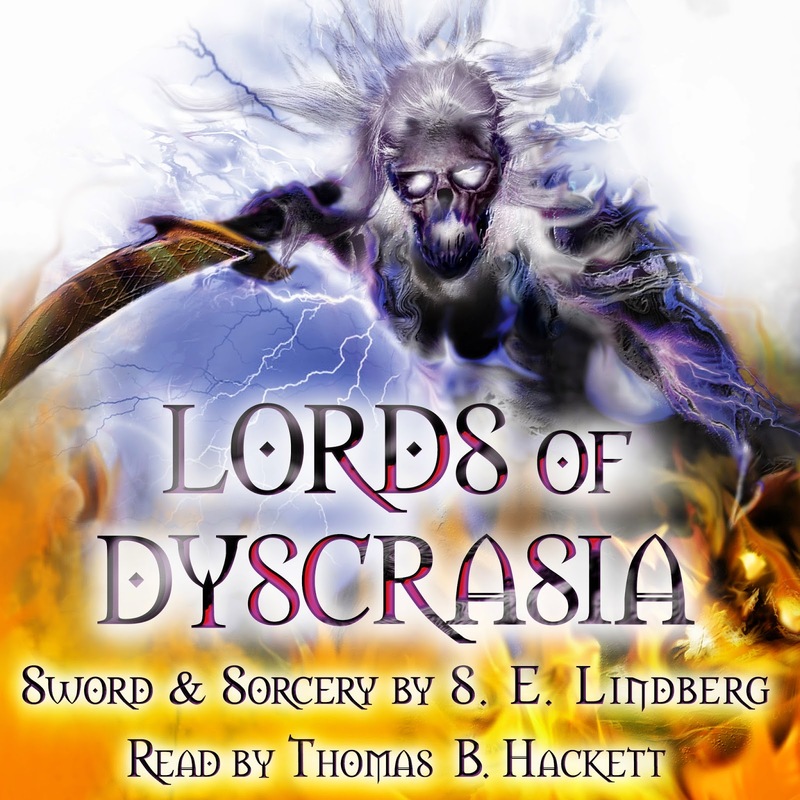 The Audiobook for Lords of Dyscrasia, narrated by Thomas B. Hackett, is in progress! Cover shown below. Expected release Spring 2015.